The remarkable New York Times bestseller! It happens every year before homecoming -- the list is posted all over school. Two girls are picked from each grade. One is named the prettiest, one the ugliest. The girls who aren't picked are quickly forgotten. The girls who are become the center of attention, and each reacts differently to the experience. 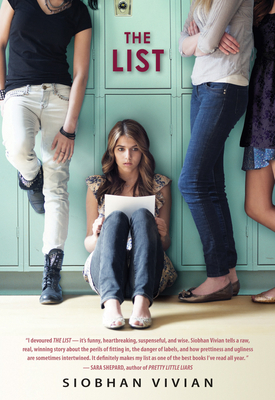 With THE LIST, Siobhan Vivian deftly takes you into the lives of eight very different girls struggling with issues of identity, self-esteem, and the judgments of their peers. Prettiest or ugliest, once you're on the list, you'll never be the same. Siobhan Vivian is the acclaimed author of Not That Kind of Girl, hailed by Kirkus Reviews as a “powerful, involving exploration of teen girls’ identities and relationships,” Same Difference, and A Little Friendly Advice. A Jersey girl by birth and a Brooklyn girl at heart, Siobhan currently lives in Pittsburgh, PA, and on the web at www.siobhanvivian.com.